April, 2017: Tanuja Jagernauth and Regina Victor published a Howlround article called The Need for Cultivating Critics of Color and co-facilitated the corresponding conversation at Chicago Dramatists. It was apparent there was a need for more voices in theatre criticism nationally, to reprogram the way our national community critiques art and to try to do so with a more compassionate eye. May, 2017: Katherine O’Keefe and Regina Victor decided to act on an idea that had been brewing for some time – Rescripted. An artist-led platform for theatre criticism and journalism. We realized only two groups could really analyze art, the people who made it and understand the labor, and the people who view it from the outside. Both perspectives are necessary and valuable, but there was a shortage of artistic voices in the field, and an absence of young and diverse writers. We set about creating our website and aesthetic with the help of graphic and set designer Michael Locher. We’re Gonna Die at Haven Theatre, Chicago IL. 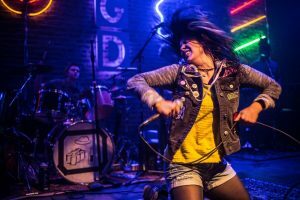 We published our first piece by Regina Victor about Haven Theatre’s We’re Gonna Die on June 1st of 2017. A drastic departure from the everyday review, this was a deeply personal critique, baring the emotion of the attendee and therefore hopefully contextualizing the experience. This critique could be considered an experiment in perspective: if you know the author’s voice do you trust them more or less? Bright Half Life at About Face Theatre, Chicago IL. A beautiful love story about two women, Bright Half Life was an overall success with a clean design, powerful performances, and strong direction. 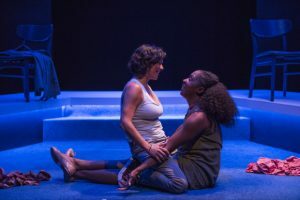 This was former Artistic Director Andrew Volkoff’s last production with the company, and we hope to see more empowered queer narratives under the promising leadership of local director Megan Carney who has since taken the post. Pass Over at Steppenwolf Theatre Company, Chicago IL. Monty Cole penned this savvy critique on one of the biggest issues in Chicago criticism, Antoinette Nwandu’s Pass Over and the tone deaf (and in some cases offensive) reviews that followed. Rescripted did not publish a standard review of Pass Over, but rather Monty’s extended critique and comparison of the work. It is recognized not only for Nwandu’s craftsmanship and Danya Taymor’s crisp direction, but because it was one of the most talked about plays of 2017. This dialogue was crucial for moving us forward when it comes to the need for a variety of voices around a piece of art. We are most proud of this piece because it shows how acutely artists observe the cultural and critical shifts around the art in their community and validates our efforts as an organization to uplift that voice. July, 2017: Co-Founder and Editor-In-Chief Regina Victor travelled to California to work with the Bay Area Playwrights Foundation 2017 Festival (http://bayareaplaywrightsfestival.org/). Part of their involvement included representing Rescripted by co-facilitating a workshop on “Season Selection: A Conversation about Implicit Bias, Audience Engagement, and Critical Action” with Daniel Banks, the co-Director of DNAWORKS. black odyssey at California Shakespeare Theater, Orinda, CA. Marcus Gardley is well on his way to being a part of the classic American Theatre Canon, in large part thanks to his ability to wield enormous worlds of fantasy that he pairs with acute personal character detail. 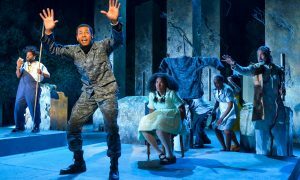 Jerome Joseph Gentes reviewed this play in his review Song of I, Song of Us, reminds us of the importance of heritage and familial bond onstage. RESCRIPTED RECOGNIZED: Muthaland at 16th Street Theater, Berwyn IL. 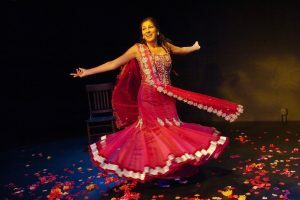 Minita Gandhi has been touring her solo show Muthaland at universities across the United States, and the development and rigor put into the piece paid off at its 16th Street World Premiere. A simultaneously romantic and harrowing tale, Muthaland is Gandhi’s coming of age story, relatable in its specificity. 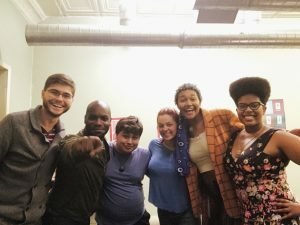 September 8th, 2017: Rescripted announced The Key: Young Critics Mentorship Program in partnership with Oliver Sava and the Chicago Inclusion Project, hosted by Greenhouse Theater Center. Oliver Sava and Regina Victor co-facilitated the class of four writers aged 16-20 who wanted to learn about the art of journalism. Oliver works for outlets such as Entertainment Weekly, and the Chicago Reader, and could help our aspiring journalists learn how to write multimedia reviews, how to pitch and how to work with an editor. Regina Victor offered an outside perspective as a self-made critic and practicing artist who focused on teaching empathy, compassion, technical knowledge about the field, and worked with the students to get their work ready to publish on Rescripted. The culmination of this program ended with each student having their own online portfolio with which they could apply to future writing jobs, and one student has already written for Rescripted since the class has ended! RESCRIPTED RECOGNIZED: Lela & Co. at Steep Theatre, Chicago IL. One of the most extended plays of 2017, Steep Theatre’s Lela & Co. had standout performances by Chris Chmelik and Cruz Gonzalez-Cadel. RESCRIPTED RECOGNIZED: Meet Juan(ito) Doe at Free Street Theater, Chicago, IL. 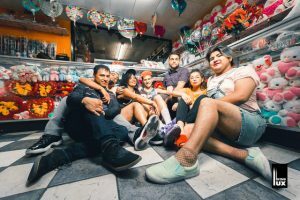 Playwright Ricardo Gamboa co-directed this exploration of Mexican life in Back of the Yards/Pilsen with the equally talented Ana Velazquez this Fall. Gamboa received a Joyce award of $50,000 to produce community-based programming, provide pay to artists, and create a performance space within the community. 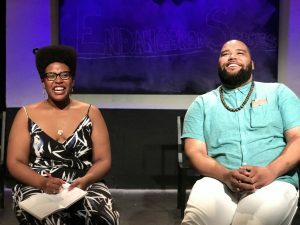 Though it extended with sold out shows, that is not the end for the Storyfront Gamboa created (complete with a total renovation) with their peers: it will continue to be a space for art and activism for the forseeable future. October 20th, 2017: Editor Regina Victor attended a play at Marin Theatre Company in Northern California called Thomas and Sally. This play generated a significant amount of tension in the theatrical community, due to the portrayal of Sally Hemings many interpreted as a willing participant in a relationship with her owner 20 years her senior. Regina covered Thomas and Sally in one of our longest critiques, combining reviewing with a deeper conversation on this play’s intent, as well as its social impact and messaging in our current moment. 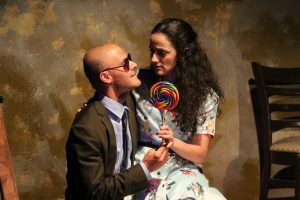 “Thomas and Sally at Marin Theatre Company Questions Victims and Consent,” by Regina Victor. Welcome to Jesus at American Theater Company, Chicago IL. 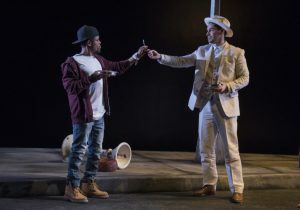 Janine Nabers’ terrifying take on White Supremacy and Football culture in the United States was described by our reviewer Regina Victor as “a cross between ‘The Blind Side’ and ‘Get Out’.” Actor Rashad Hall is quickly establishing himself as a leading man who can carry a production with empathy and ferocity. 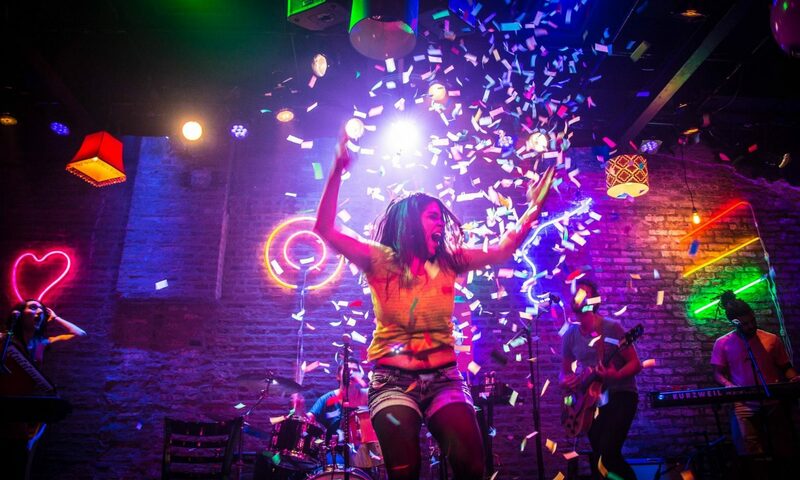 American Theater Company ended 2017 on a promising note with this last production, and we are looking forward to We’re Gonna Be Okay, Artistic Director Will Davis’ venture in the New Year starring Chicago favorites such as BrittneyLove Smith and Avi Roque. 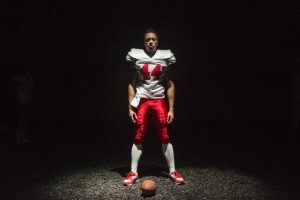 “Football and White Supremacy Take a Spooky Turn in Welcome to Jesus,“ by Regina Victor. December, 2017: We had our final session of The Key: Young Critics Mentorship Program, and graduated four writers from the seminar! It was an incredible experience to watch young people flourish once encouraged to share their opinions, and to see their writing voices develop. Check out their reviews of The Heavens are Hung in Black and Two Mile Hollow by clicking here. The Key: Young Critics Mentorship Program students, facilitators, and guest speaker Ike Holter. Additionally, we obtained Fiscal Sponsorship from Fractured Atlas to continue growing our program and ensuring our students get the resources they deserve. Donate to The Key by clicking here! BLKS at Steppenwolf Theatre Company, Chicago IL. Penned by our youngest reviewer and The Key alum Logan McCullom, this review rounded out our 2017. What is notable about this production apart from Barnes’ quick wit and brutal honesty, is that it was a predominantly Black creative team both on and offstage. In 2018, Rescripted hopes to see more leaders taking charge of their own stories on Chicago stages. Clearly, as in the case of BLKS, it pays off. It has been a joy to celebrate 2017 with all of you, without your devoted readership we would not be able to thrive the way we have. In 2018 and beyond we hope to grow our impact by expanding our amount of writers, generating pay for artists, covering more shows nationwide, and continuing with our young writers program The Key. Stay tuned for application dates in January, we will be taking on a whole new cohort of young journalists this Spring, in partnership with Chicago Inclusion Project and Greenhouse Theater Center. In 2018 Rescripted will learn more about who we are and what kind of organization we are becoming. The need for trustworthy information is vast, and we are attempting to serve you subjective truth, instead of pretending to be objective observers. Our BIAS ALERTS and Artist Profiles are an effort to make who we are more transparent to you. We must allow several voices to be a part of the conversation, and avoid centralizing power when it comes to what is and isn’t “good” theatre. That is why this list isn’t ranked. This list is about recognition. Recognizing all the gifts given by artists in The Bay Area, Chicago, New York, and everywhere in between as measured in their time and the love they pour into what we critique. Thank you to all the artists who are creating new ways for us to see ourselves and society, and may you have access to everything you dream of creating in 2018.